A few tips in this article to sell your boat. 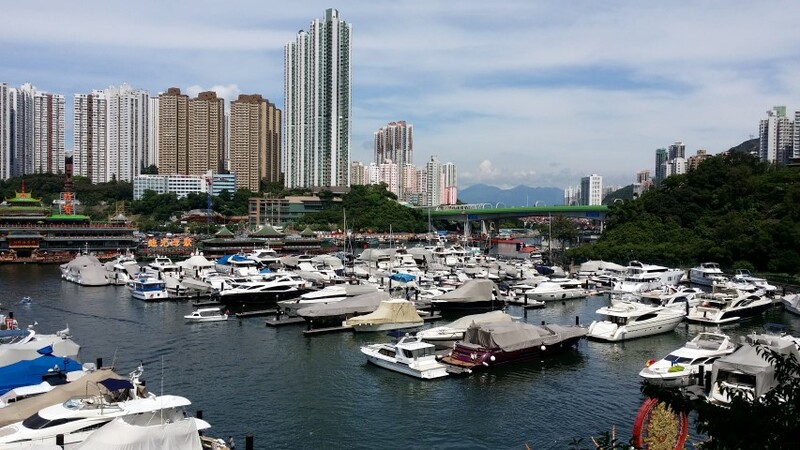 If you are located in Asia where the environment and the market are different compared to Europe, USA and Australia and you are looking to sell your boat. Then here are some tips that might be helpful if you want to get the best price for your boat in a timely manner. 6) Consider doing a survey. Consider doing a pre-sale survey of your boat from a independent and a reputed surveyor. This will show your transparency, honesty and also it will not make it easy for any one to fool you into lowering your prices for small issues. If you know those issues before hand and you have quotation to fix them up. You know exactly what condition your boat is in and you know a client is being unreasonable if the asks you to reduce a big chunk for a minor mechanical problem or insists that the engine has some serious problem without providing any proof. 5) Get a professional broker. Not every one can advertise, do marketing, show your boat to clients, then negotiate the price, arrange deposits, make professional agreement, and do the legal transfers of ownerships. There can be many things that go wrong in each of these processes and you need someone with enough experience to handle things. There are times when customers are from a different country and the broker needs to arrange shipments or sometimes the broker needs to arrange renovation, repairs of the boat for the customers. All these factors need to be considered. A normal commission in the industry is 10% which is sometimes negotiable depending on the markets. But if you choose a broker who knows the market the broker can get you the fair price. Meanwhile there are many owners who try to cut the commissions but often their boats don’t become priority in sales, Its not every day that an agent can sell a boat, so we all have to survive and prosper equally to make things worth it, unless you yourself like to work without getting paid then you might expect it from others. Having said this, there can be brokers who work for less commissions, but don’t be so naïve they might be giving you the net amount you want but may pocket the big difference from what the buyer is actually paying him. Either that or the broker will just try to convince you to sell the boat to the first customer that shows up and pressure you into negotiating the price that you shouldn’t. 4) Know what kind of advertising the broker is doing. 15 or 20 years ago, the magazine advertisements use to work, the news paper adverts use to work. Well, simply put. now they don’t. The broker needs to be going along with time, now an average buyer when he thinks of buying a boat, looks it up on the internet, looks for a competent broker who has experience. The buyers are potentially placing millions of dollars into an account so the broker needs to be trustworthy, needs to have history of selling boats in that city and needs to know what he is doing. Mostly the boats should be advertised in the internet in some paid websites where it is exposed nationally and internationally. Another thing is that the broker should be sending the information of your boat to all the prospects he has that are looking for similar boat. The broker should also be well connected with in the industry to pass the information to other boat owners and targeting the key groups of boat buyers. 2) Keep the boat clean & maintained. Its easy to ignore it once you put your boat for sale, but a first impression is the last impression. Keep the boat tidy and it will help if the cushions are placed in the right positions, the boat is made to air a little the temperature is nice and cool. The prospects can get a feel of the boat and can visualize their weekends. If the boat is hot, stuffy and things are covered, your chances of selling that boat decreases a lot especially if the prospect is going to see another boat after yours. Your boat will just serve as a selling point for the other boat which is more neat and tidy. Also keep your boat clean. that does not mean you should wax it, But its good if the boat is dust free and any type of dirt stains inside and outside are removed. Sometimes they give impression of the hull having cracks and scratches. It even suggests that the boat may have lot of problems if the owner or the captain does not bother to clean it. 1) Price it right! ok, so we all want the best price when we sell our things. But if you price it without considering the market price and the sales environment, your boat will be sitting for sale for ever. Remember the longer it takes, the more the value declines. So ask the brokers to give you a objective view of the market, how many boats have been selling and see if you can be competitive amongst the boats that are currently for sale in the market. A right broker should be able to give you a realistic market value but still the sale depends on amount of buyers in the market. I certainly hope these tips will help you in selling your boat. Please do feel free to contact us for any further information you may need.